This is Sara Molano's cat Moonshadow. What struck me most about Moonshadow was her beautiful yellow eyes. 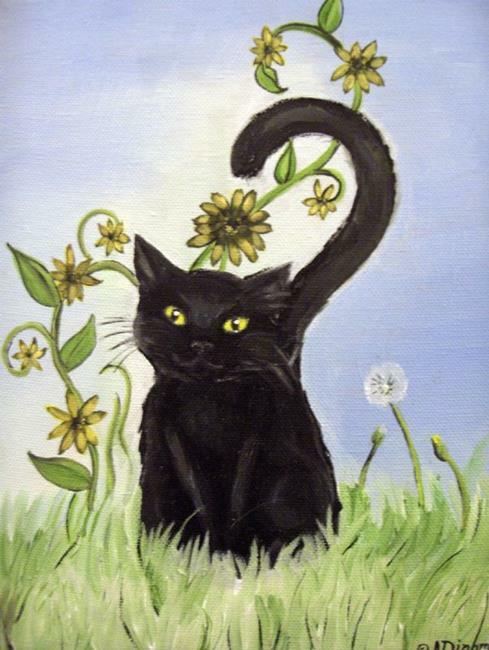 I have painted her whimsically in a field, accented by flowers and dandelions to bring out the magical qualities of her bright eyes. She is playful and feminine!